I had been wanting and researching felt boards for my son for a few months before I came across Betty Lukens Leaning Fun with Felt sets. a board that was easy to store, transport and use. Each set comes with a 13" x 15" felt board, over 20 pre-cut pieces, and a plastic storage container with a handle that makes it very easy to store and transport. There are over 30 different Fun with Felt options that are great for toddling children and beyond (you just may have to remove some of the smaller pieces for younger children). While my son is too young to participate in advanced pretend play or to create his own stories, he is old enough to learn/identify each of the pre-cut pieces while placing them on the board. 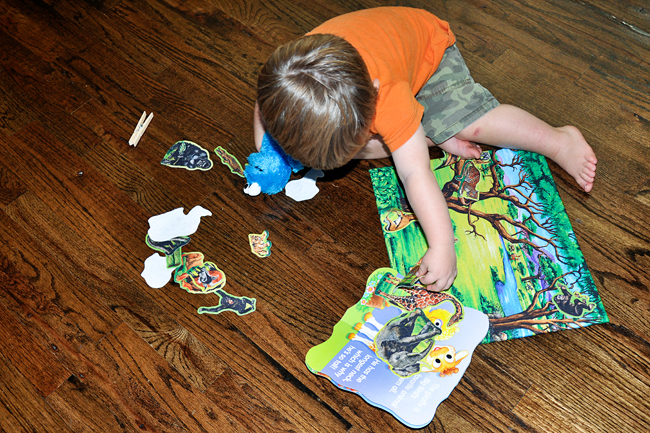 We also enjoy using the felt board learning set during story time. Can you find the giraffe? 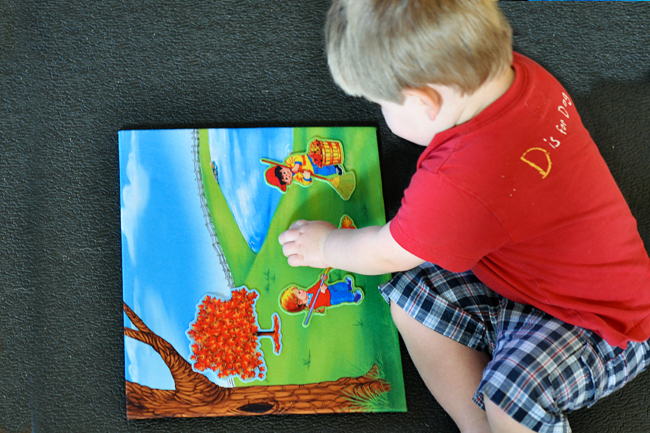 What I love most about the Learning Fun with Felt board is currently they serve as a tool for object recognition, fine motor skills, and language development, but eventually they will serve as a tool for imaginative play and story telling. I love that the felt boards don't have any bells or whistles or buttons, just simple to-the-point objects that tell a story with a little bit of your OWN imagination. 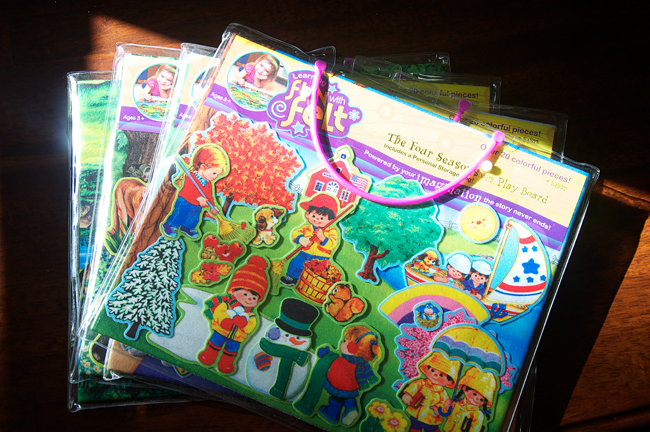 Not only does Betty Lukens offer Learning Fun with Felt sets, they also have a number of other products including various Educational and Inspirational sets. Betty Lukens is widely known for their quality Bible Felt Sets. With Christmas quickly approaching I would highly recommend a Betty Lukens Learning Fun with Felt set for any young child on your list. 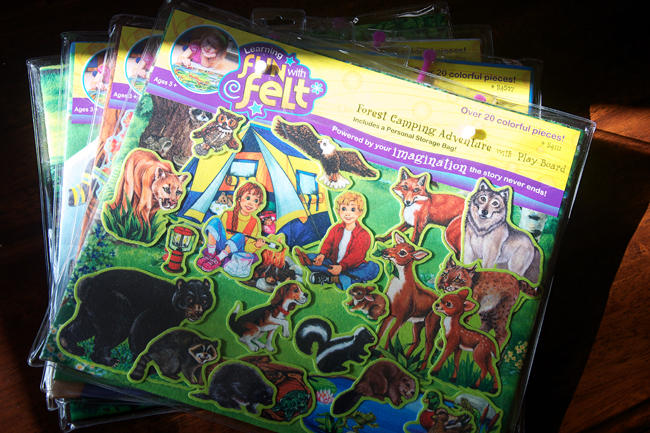 But first, how would you like to win 3 Learning Fun with Felt sets of your choice??? (1) Visit the Betty Lukens website and tell me one of the Felt Boards you would choose if you won. *This giveaway is limited to U.S. and Canada residents only. The giveaway will end Monday, October 31st at 11 a.m. eastern time. A winner will be random selected shortly after. These are so great! Hannah loves animals and fish, so I would either pick "Let's Go on a Safari" or "Under the Sea." I would pick the sea or farm theme! I would choose fun on the farm! I like CPL on fb! I like BL on fb! These are too cute! Luke would love the Camping Adventure board. Very cute! I like Fun on the Farm, Spring Garden Tea Party, Katelyn & Friends and Four Seasons. To many I like to choose just one. I subsribe by email now. My son loves animals, I would have to go with the safari set! It's adorable, and has such variety for him to learn! This is an awesome giveaway and I would be super excited to win! A is all about Dinosaurs right now so that would be a great choice! It makes me want to be young again!! Forest Camping Adventure!! Woot! Hi... great giveaway! I'm joined up and following blog and FB. I would choose the Katelyn & Friends: Sporty Kids because my son loves sports! Cute gift. I follow your blog and "liked" you on facebook. "Liked" the felt board site on facebook. I would choose the "four seasons." Love these! I'd pick 'Fun on the Farm' felt set since Jack is into tractors and cows. Cute! I love the under the sea one!! My kids would LOVE the ocean one. But all of them are adorable!! oh how neat! Daisy would love the fun on the farm one!! Awesome! These are so great. 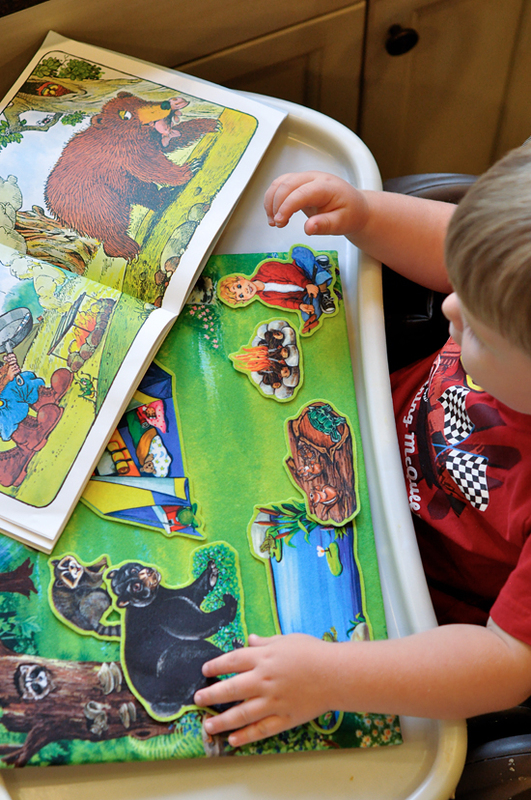 We would love the rainforest adventures board as our 2-year-old is really into monkeys! I liked Betty Lukens on Facebook as well. love the zoo or safari ones. 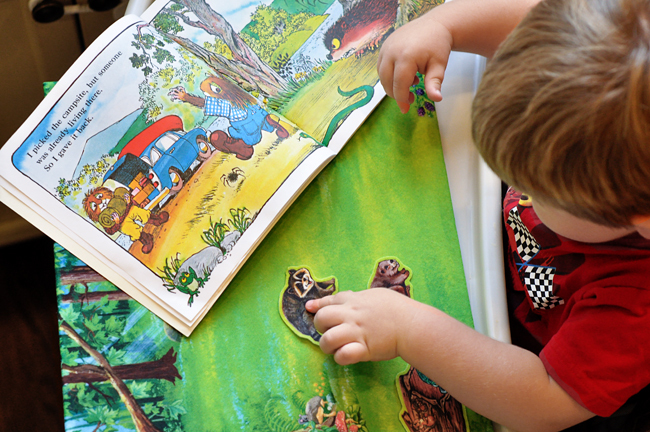 I would choose fun in the sun, fun in the sun, & Basic learning: colors, shapes and numbers. We would do Animal Care and Fun on the Farm for sure! I love the Dinosaur one. Thanks! I follow you through Google friend connect. Thanks!